A high employee turnover rate is something that every company strives to eliminate. Not only does high employee turnover rate affect a company’s bottom line, but it also can impact a company’s reputation for recruiting future employees. However, it’s not uncommon to hear of employees that are unsatisfied with their current roles within their company: 51% of employees are searching for new jobs or watching for openings. Luckily, more companies are investing in their company culture and internal communications strategies to reduce the number of employees who leave. 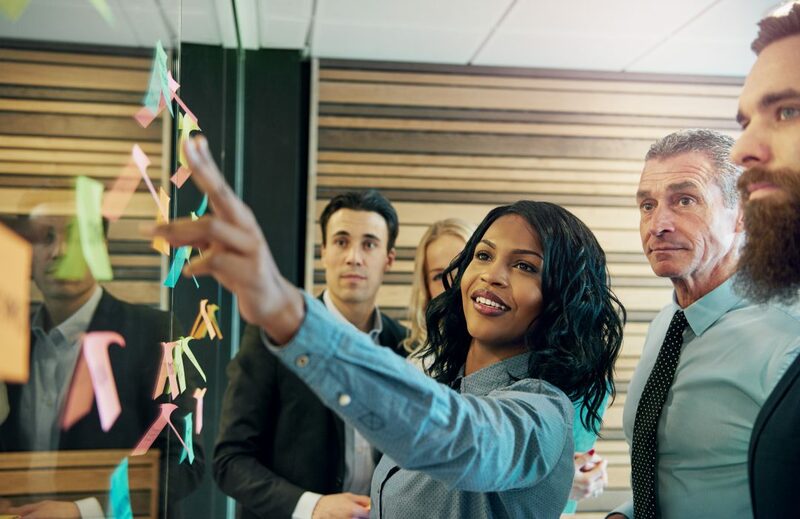 Happy employees are those who are constantly engaged throughout the workday; when employees are engaged, their work productivity increases and they can define clear goals for themselves. More importantly, engaged employees have pride in their workload, which results in less of a desire to leave. Employees want their voices to be heard and acknowledged by upper management and other departments within the company. One way to achieve this is by giving employees a chance to give their feedback through surveys and assessments. They will feel more motivated when they can see that their input is being received and acted upon. It’s important to communicate company messages effectively so it is reached by all employees — including deskless and remote employees — not just the in-office group. Utilizing a cross-platform communications plan with mobile and desktop applications can ensure all employees feel in the loop with important corporate information. Aside from considering how to portray company messages to employees, it’s critical to strategize the message content itself. All internal communications should be relevant and should also help inspire employees — this can include company news and updates, and even showcasing company accomplishments. Relevant content will in return reduce overloading employees, keeping them more engaged and more likely to read company messages. Everyone likes to know that the other party is listening to their conversation. This applies in the workplace, too. Internal communications and HR departments need to make it known that they have received employee feedback and have implemented it by continuing open communication with their employees. Is an employee within your company involved in a community service project every month? Did an employee work weekend hours to save the day for a client? The above instances are great examples of how companies can highlight their employee’s successes. Take the time to acknowledge employees and their hard work in and outside of the office — this will help instill drive and motivation to get showcased! Overall, engaged and motivated employees are more likely to grow within a company than leave it. Subscribe to RMG’s blog for more internal communications-related tips on how to boost employee engagement and increase your company’s bottom line.